Christianity is distinct in the nature of its claims and the value it places on reason, intelligence, and evidence. Some religious systems are based purely on the doctrinal, proverbial statements of their founders. The wisdom statements of Buddha, for example, lay the foundation for Buddhism. Hinduism is based on the revelations of the ancient sages as revealed in the Vedas and the Upanishads. Confucianism is established from the wisdom statements of Confucius. In all these examples, the statements of these religious leaders exist independently of any event in history. In other words, these systems rise or fall on the basis of ideas and concepts rather than on claims about a particular historical event. 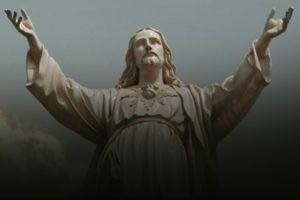 Although Christianity makes its own ideological and philosophical claims, these proposals are intrinsically connected to a singular validating event: the Resurrection of Jesus Christ. Why should anyone believe what Jesus said rather than what Buddha, the Hindu sages, or Confucius said? The authority of Jesus is grounded in more than the strength of an idea; it’s established by the verifiability of an event. When Jesus rose from the dead, He established His authority as God, and His Resurrection provides us with an important Christian distinctive. The Resurrection can be examined for its reliability, and the evidential verifiability of Christianity separates it from every other religious system. Let me offer an analogy to make the point clearer. If I told you I had a private vision from God yesterday in which He revealed a number of important truths He wanted me to share with you, how could you ever verify (or falsify) my claim? Personal visions and pietistic wisdom statements are difficult to validate evidentially. You have to either accept my story or reject it, but in either case, you’ll have to do so without the ability to investigate my claims evidentially. You can’t, after all, get into my head to see if I am lying about this very personal “revelation.” What if, on the other hand, I told you I had been visited by God physically? God came to me in the form of a man and, in the presence of my friends, had lunch with me in my backyard. While He was here, He helped me dig a trench for my irrigation line and even put some finishing touches on a treehouse for my kids. Can you see how this kind of public claim is categorically different from private claims about visions and divine wisdom? The public claims are about historical events that occurred (or didn’t occur) in my backyard in front of witnesses. As such, they can be investigated forensically and historically. My friends could be interviewed. The irrigation trench could be examined for attributes of “Divine Digging.” The treehouse could be examined for evidence of a “Heavenly Helper.” My claim about a divine public visitation could be examined evidentially and verified in a way private revelatory claims cannot. The Christian’s claims are public claims. Christianity is established on the basis of an event in history. We can investigate this event like other historical occurrences (including cold-case murders, my particular area of expertise). This kind of verifiability is a Judeo-Christian distinctive.